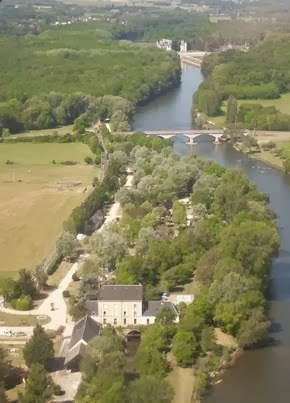 If you are using us as a stopover, we’d recommend you do nothing much, other than perhaps wander down past Chenonceau chateau in the evening (15 minutes walk from the campsite), chill out and look at the map to prepare for the next stage of your journey. Our bar serves meals every day in high season but is closed on Wednesdays for the mid-season. The Chateau of Chenonceau is 1.5km downstream and is well worth a visit. Beautiful on the outside, fascinating on the inside — it’s THE chateau to do in the area. It can get quite busy so it’s best to visit early morning or late afternoon. Count on spending at least three hours there; by the time you have done the gardens, the three floors of the chateau, the maze, vegetable garden etc not to mention walking from the car park to the chateau, you won’t have much energy for doing anything else (except coming back to the campsite for a cool beer or an ice cream). There are decent sized supermarkets within 10km of the campsite if you need to stock up on food or fuel before moving on.